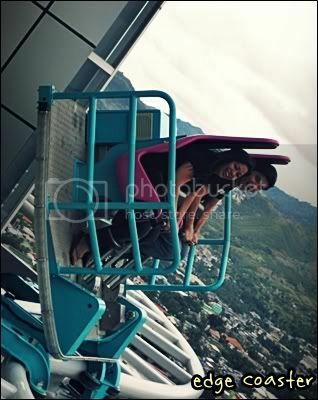 When in Cebu, one should try out Crown Regency's Edge Coaster Ride and Skywalk. But try the Skywalk first, and then the Edge Coaster ride. hehe. Will be posting more pictures soon, probably this next entry. I'm just too excited to post the pictures now but I don't have that much time. hehe. wow eds! you just gave me an idea! Thanks! did you know that i cried when i rode them? yeah! i burst to tears when my bf tilted the seat to the maximum without warning. 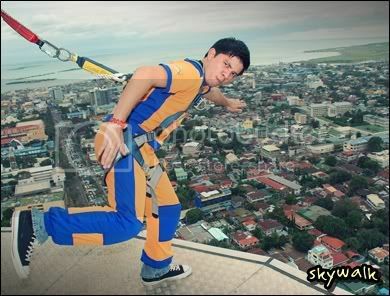 i felt i dropped when he did it (gilupad jd akong espiritu). i was so terrified that instead of screaming, i cried. :'( poor me. i didn’t enjoyed it much as i enjoyed the skywalk.